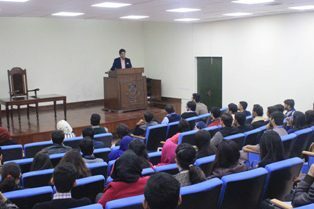 On Friday 10February 2017, Forman Journalism Society and the Department of Mass Communication hosted yet another event continuing their J-Talks series. 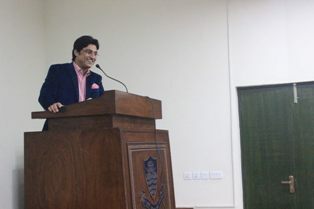 The guest speaker for the event was a very renowned anchor and columnist, Mr Ajmal Jami. 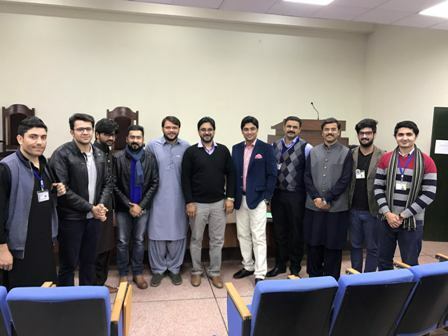 The session was arranged under the guidance and supervision of society’s advisor, Mr Syed M Saqib Saleem and co-advisor, Mr Adeel A Amir. 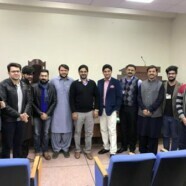 Faculty members of the Mass Communication Department attended the event. Mr Jami enlightened the students on the topic ‘Media practices and their conformity with media ethics and laws.’ In addition to that, he shared his experiences in the media industry with the students. The session concluded with a question and answer session from the audience. FJS arranged refreshments for the honorable guest as token of gratitude.